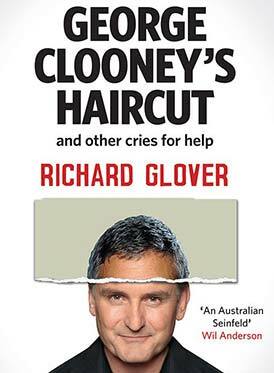 Richard Glover’s deeply skewed stories of everyday life are heard each week on ABC radio’s “Thank God It’s Friday”. He creates a world which is both weird and wry–a world in which Henry VIII provides marriage advice, JD Salinger celebrates tap-water and naked French women bring forth a medical miracle. It’s also a world in which shampoo is eschewed, the second-rate is praised and George Clooney’s haircut can help save a relationship. Bizarre yet commonplace, funny yet relatable, absurd yet oddly warm-hearted, in Richard Glover’s hands you’ll experience the true strangeness of the life you are living right now.